The new GMC Yukon, offered at our McKinney, TX dealership, is designed to stand out. Its interior offers a perfect blend of comfort and flexibility. We offer a wide range of inventory for the new GMC Canyon in McKinney, TX. This full-size SUV maximizes your performance on the road, thanks to its powerful engine. 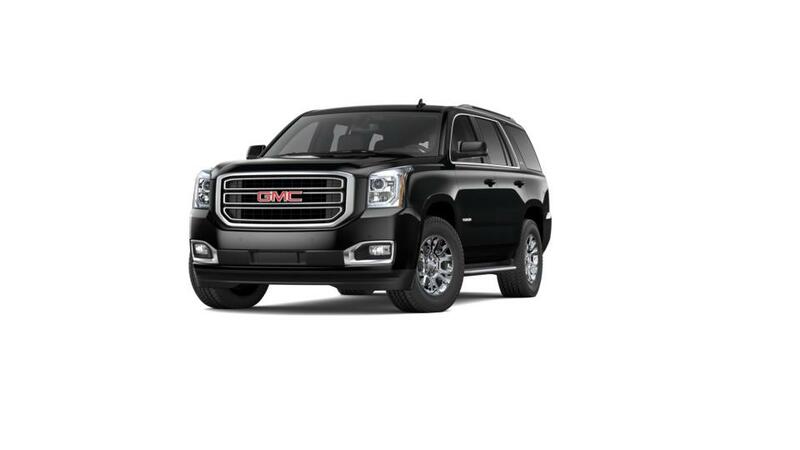 You will surely make heads turn when you drive the new GMC Yukon on McKinney’s streets. Now, many of the functions you use on your phone for entertainment, communication, and directions appear on the built-in display. The new GMC Yukon, available at our McKinney, TX dealership, offers the latest safety technologies, like the ultrasonic sensors, cameras, and multiple airbags to help you prepare for the unexpected. We also have great offers and specials on this vehicle. Stop by our dealership to test-drive the new GMC Yukon in McKinney, TX today!